There's no question: membership recruitment is the single most important aspect of any chapter or colony. Without continuous recruitment, the Fraternity would cease to exist. That is why every member--both alumni and collegiates--are responsible for sustaining the lifeblood of the Fraternity. In this guide, you will find the basic elements of a great recruitment program. It's important to note the information presented is only an overview. To further your knowledge, it is recommended you attend a Province Forum and Regional Leadership Conferences hosted by Tau Kappa Epsilon's Professional Staff and volunteers. 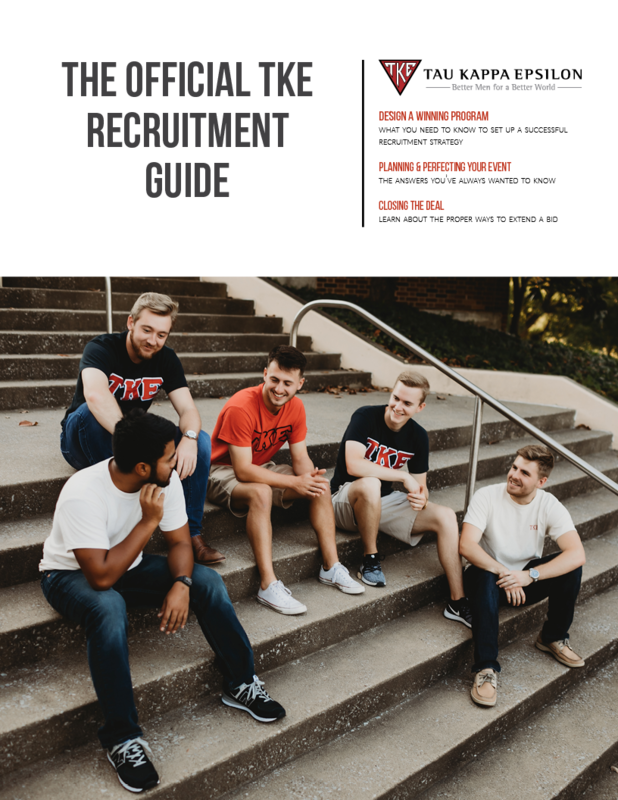 Click the image below to download "The Official TKE Recruitment Guide"